Sen. Susan Collins, R-Maine, is followed by members of the media as she walks to the Capitol before a vote to advance Brett Kavanaugh's nomination to the Supreme Court, on Capitol Hill, Friday, Oct. 5, 2018 in Washington. 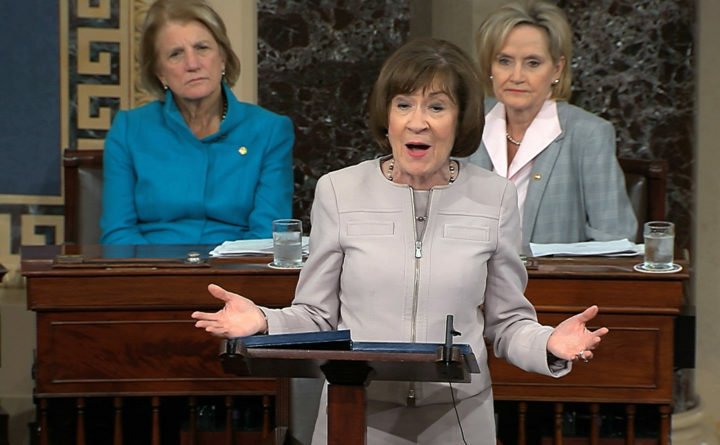 In this image from video provided by Senate TV, Sen. Susan Collins, R-Maine., speaks on the Senate floor about her vote on Supreme Court nominee Judge Brett Kananaugh, Friday, Oct. 5, 2018 in the Capitol in Washington. Sen Shelly Capito, R-W.Va., sits rear left and Sen. Cindy Hyde-Smith, R-Miss., sits right. In a defining moment of her political career, Sen. Susan Collins of Maine said Friday she will join fellow Republicans in voting to confirm Brett Kavanaugh to the U.S. Supreme Court in a move likely to clinch President Donald Trump’s second nomination to the high court. Collins has been under immense pressure since the Republican president nominated Kavanaugh in August. It heightened last month after three women — including California professor Christine Blasey Ford — accused him of sexually assaulting them when he was a young man. He has denied all allegations. The Maine senator’s Friday afternoon announcement came just hours after she sided with 49 fellow Republican senators in a key procedural vote to advance Kavanaugh’s confirmation, which will likely take place on Saturday. Collins said she found Ford’s testimony before a Senate panel last week — when the professor said she was “100 percent certain” that Kavanaugh sexually assaulted her — to be “sincere, painful and compelling.” But Collins said that Ford’s allegations weren’t corroborated and Kavanaugh was entitled to a presumption of innocence. “Despite the turbulent, bitter fight surrounding his nomination, my fervent hope is that Brett Kavanaugh will work to lessen the divisions in the Supreme Court,” Collins said. Republicans hold a 51-49 majority in the Senate, which made Collins, two other Republicans — Sens. Jeff Flake of Arizona and Lisa Murkowski of Alaska — and Sen. Joe Manchin, D-West Virginia, the fulcrum on Kavanaugh’s nomination. Flake supported Kavanaugh early Friday and after Collins finished her speech, Manchin said he would vote to confirm him. The judge may cement a conservative majority on the high court for a generation, since he would replace Justice Anthony Kennedy, who was often a deciding vote on major issues. 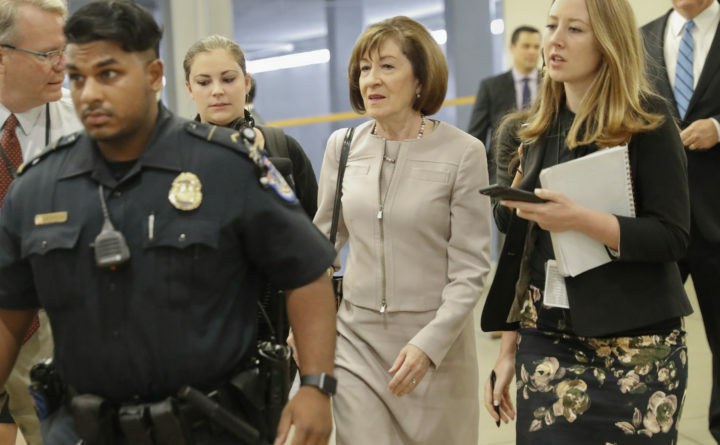 It was one of the most-watched votes of Collins’ career and perhaps the biggest since she voted to acquit former President Bill Clinton of impeachment charges in 1999. Before the allegations emerged, Democrats and abortion-rights groups feared that Kavanaugh could be the deciding vote in overturning Roe v. Wade, the landmark 1973 decision guaranteeing abortion access, though Collins in August noted that he called Roe “settled precedent.” They looked to Collins, who has supported abortion rights, as an ally. Protesters in the past week have assembled in throngs at Collins’ offices in Maine and Washington, D.C. Busloads of Mainers have descended on the nation’s capital to implore the senator, who has used Capitol Police escorts to help her navigate the crowds that regularly amass around her. At home in Maine, abortion-rights advocates, sexual assault survivors, former law clerks for state and federal judges in Maine, and more than 1,000 college and university faculty and administrators urged Collins to oppose Kavanaugh via letters and phone calls. Activists have pledged more than $2 million to Collins’ 2020 opponent if she votes for Kavanaugh, which Collins likened to a “bribe.” About a quarter of the $9.5 million spent on ads aimed at lobbying senators on Kavanaugh was aimed at Maine, according to the Brennan Center for Justice. In Bangor, a crowd of nearly 15 anti-Kavanaugh protesters gathered Friday afternoon at the Margaret Chase Smith Federal Building, where Collins’ office is, to hold signs while they listened to her Senate speech. When Collins announced her support for the judge, they seemed unsurprised, yet disappointed. There were signs all along that Collins would back Kavanaugh — though it was less certain after the allegations. She has never voted against a Supreme Court pick in more than two decades in the Senate under three different presidents. If the demonstrations are an indication, the vote may allow Democrats to harness progressive anger at Collins in ways that they haven’t been able to before. In one poll ahead of the senator’s 2014 re-election bid, she led her Democratic challenger among Democrats en route to a 37-point win. Collins hasn’t said whether or not she’ll run for re-election in 2020, but House Speaker Sara Gideon, D-Freeport, expressed interest in facing her in a Facebook post Friday. Milbridge physician Cathleen London has announced a run, and Zak Ringelstein of Falmouth has said he may run if he loses in a long shot 2018 bid against independent U.S. Sen. Angus King. Collins’ vote could shore up her position with Maine’s conservative base, many of whom she angered after her opposition last year to Republican plans to repeal the Affordable Care Act. Max Linn of Bar Harbor, who failed to qualify for this year’s Republican primary in 2018, has said he’ll run against her. Carroll Conley, the executive director of the Christian Civic League of Maine, an anti-abortion group that lobbied Collins to approve Kavanaugh, said the senator was consistent in how she approached his nomination relative to the past high court judges she has voted to confirm. 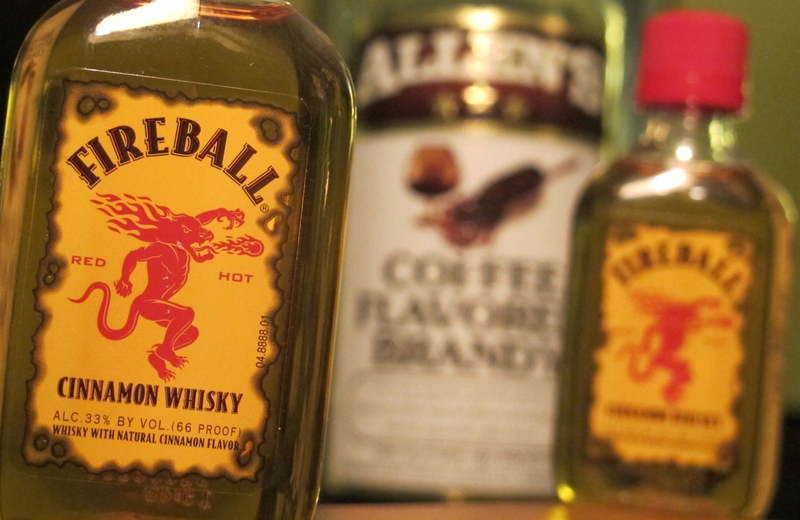 BDN writer Emily Burnham contributed to this report.